We have recently heard the news that Reliance Jio might extend the popular Jio Welcome offer that will provide free services until March 2017. Here is the possible reasons behind this. We all know about Reliance Jio, many people have subscribed to Reliance Jio’s free service and the company itself bagged almost 16 million users in the first month of its launch. 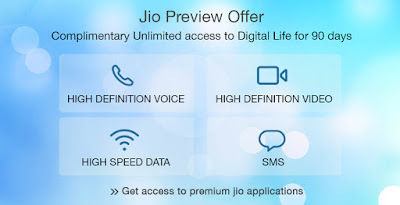 Of course, no one wants to miss the free services of Reliance Jio, The free services include 90 days of free high-speed 4G data, unlimited voice calls and unlimited SMS the craze of Reliance Jio is so high that even the company had to introduce Reliance Jio 4G Sim door delivery services. However, we have recently heard the news about Reliance Jio might extend its free services to March 2017. There was no confirmation from the company yet. However, we are going to show you 5 reasons that will show you why reliance Jio Welcome offer might be extended Until March 2017. So, let’s know. Reliance Jio Aims to add 100 million users! Anshuman Thakur who is Jio’s head of strategy said that they need to cross the 100 million subscriber mark. We have also mentioned above that Reliance Jio already crossed the 16 million subscriber mark on the first month itself of its launch. So we could expect that Reliance Jio might extend their free services until they cross the 100 million users mark. Rectify The Calls And Internet Speed Issue! Reliance Jio users might be facing speed issue or call drops. This happens most of the time users need to take help of VPN to access the internet and the speed is not up to the limit. 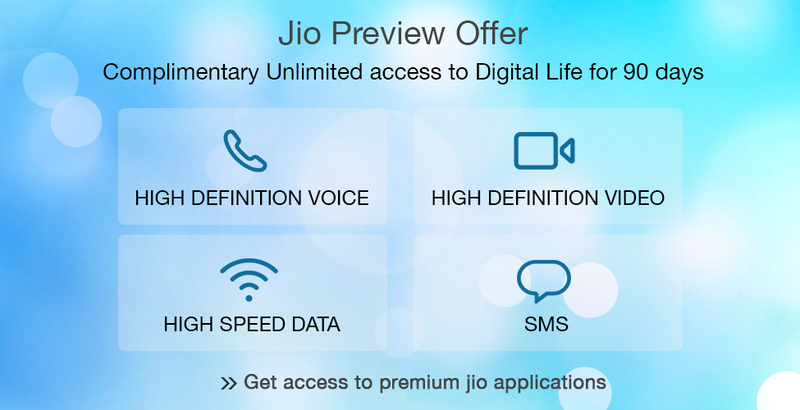 Therefore, to rectify the calls and Internet issue, Reliance Jio might plan to extend its offer for another 90 days. Increase Jio To Jio Calls! There is much competition going on in the telecom market. Other telecom operators are not providing the required infrastructure to support calls from Jio number to their network. Therefore, Reliance Jio wants to increase its user base to increase Jio to Jio calls. Reliance Jio when first launched their preview offer, the data transfer speed was up to 30 Mbps. However, after launching the Welcome offer users are experiencing huge speed reduction. Reliance, Jio might want to extend the services for user satisfaction. Extending the free services also opens the door for Jio to improve their 4G connectivity. Therefore, it could be another reason to extend their free services. Yeah whats written in the blog gives a more information.